Reporting to the Vice President of Technical Operations, this newly created management position will be responsible for the management of Quality and Compliance functions across the Development and Operations activities in Dublin: Ensure that all activities are in compliance with US, Canadian and EU regulations at all times. Interface with Regulatory Agencies, customers and consultants. Liaise closely with our contractors and raw material providers. Other areas of responsibility include but are not limited to: Batch Record review, deviation / investigation management, vendor qualification, complaint management, validation / qualification review and clinical release. Release of commercial and or clinical product in compliance with Agency regulations. Maintaining an internal audit program. On-going analysis and improvements of QA systems – deviations, product and process investigations, complaints (investigation and resolution). Work with Partners on Development / transfer process. Manage and coordinate CAPA and escalate issues to Management. 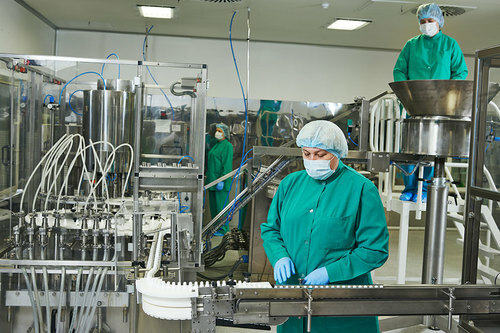 Ensure that the company operates in a manner which is fully compliant with applicable cGMP’s and international standards resulting in minimal audit findings for our Contract Manufacturing Organisation(s) (CMO’s), our Contract Research Organisations (CRO’s) from Contract Auditors and Regulatory Agencies. Supervision of the Diligent and timely close-out of product / process investigations, complaints, deviations and any other paperwork associated with release of finished product or clinical material. Carry out external audits to assess the quality of the material and/or service provided to the company with particular emphasis on supply functions, Laboratory Investigations, Product / Process Investigations, GMP training, raw data and reports to management. Motivate and direct sub-ordinates to carry out duties associated with QA activities at the company. Provide QA technical input & assistance in Validation / Qualification activities that the company has oversight of while making sure that all issues and trends are critically evaluated. Maintenance of Quality Assurance Systems, in compliance with appropriate Regulatory requirements. Ensure timely preparation and/or management of APR’s. Manage The companies Vendor Management Program and Change Control system. Prepare, review and approve Regulatory filings on behalf of the company. Prepare, review and approve Regulatory responses on behalf of the company. Review and approve validation protocols and reports. Identification and resolution of quality issues associated with technology transfer. Review of partnerships / relationships with service provider companies and where appropriate, manage the relationship through a formal Technical Agreement. Has appropriate experience in the understanding and life cycle management of medical devices and the associated regulations. Oversee the management and leadership of the Quality and Compliance employees – hiring & training of employees, planning assigning & directing work, appraising performances, rewarding and disciplining employees, addressing grievances and resolving problems. To lead, develop, mentor and guide the team on key policies, processes and practices and good decision making/judgments. Develop, set and communicate sustainable targets and goals for direct reports/teams. Ensure adequate staffing and continued employee training and development. Create a supportive work climate that enables staff members to develop professionally, values diversity and open communication, promotes teamwork and collaboration, and stresses quality, safety, customer satisfaction and profitability/cost effectiveness. Play appropriate role in the development, operation and evaluation of training/re-training programmes. To proactively manage attendance, absence levels and associated costs across the group in accordance with best practice. Educated to degree level in relevant technical/engineering/scientific discipline, preferably multi-disciplinary with a strong technical/scientific orientation. Qualified person status desirable. An advanced degree desirable. Very good knowledge of Operations, Quality and Device regulations particularly in the EU and US zones. Minimum 10-15 years’ experience in high volume / manufacturing / pharma / healthcare facility, with a minimum of 5yrs at Senior Quality Manager lever. Preference given to Experience with Device, Secondary Processing and Sterile Manufacturing experience. Experience within an FDA / EMEA regulated environment. Excellent knowledge of Regulatory Compliance, validation and technical transfer. Has a thorough understanding of US and international regulatory requirements as they pertain to general Quality including GCP. Established track record with evidence of excellent people management experience, project management, problem solving, collaborative, leadership and communication skills. Able to interact readily and easily with key contacts (e.g. manufacturing, site engineering). Ability to foster and promote internal collaboration.